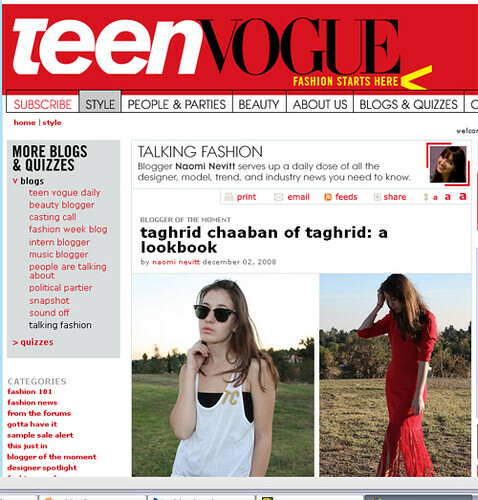 I am exicted to share that one of my favorite magazines since I was like 15, Teen Vogue, has featured me on thier website as blogger of the moment. I feel like a ding dong for being so damn excited, the nerdy fashion junkie side of me is not as cool as I'd like. Big thanks to Naomi!